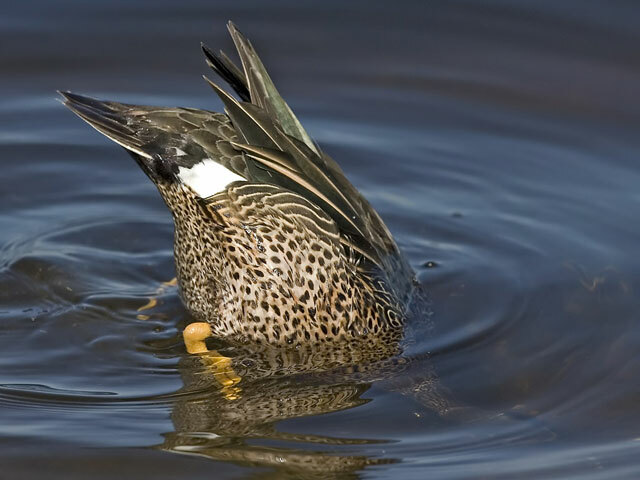 What does it mean when a duck “dabbles” or is a “dabbling duck”? This group of ducks has been so named because its members feed mainly on vegetable matter by upending on the water surface, or grazing, and only rarely dive. These are mostly gregarious ducks of freshwater or estuaries. These birds are strong fliers and northern species are highly migratory. Compared to other types of duck, their legs are placed more towards the centre of their bodies. They walk well on land, and some species feed on land. Puddle ducks generally feed on the surface of the water or feed on very shallow bottoms. They are not equipped to dive down several feet like their diving counterparts. The most predominant difference between puddle ducks and divers are the size of the feet. A puddle duck’s feet are generally smaller because they do not need the extra propulsion to dive for their forage. 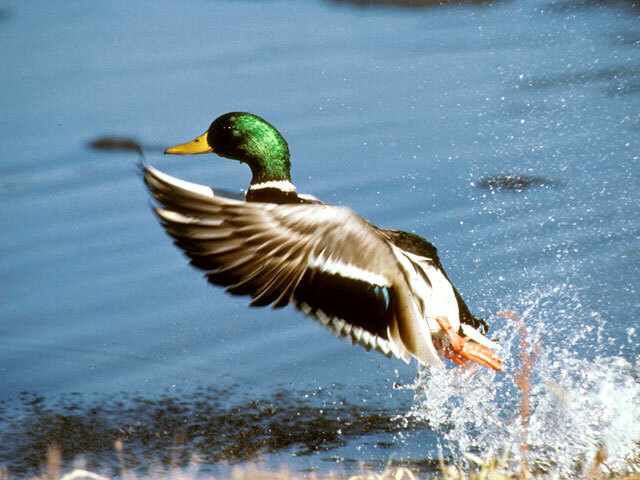 Another distinguishing characteristic of puddle ducks when compared to diving ducks is the way in which they take flight when spooked or are on the move. Puddle ducks spring straight up from the water, and diving ducks need to gain momentum to take off, so they must run across the water a short distance to gain flight. These Ducks belong to the Anatine sub-family of the Swans, Geese, and Duck Family. They are called that because these ducks feed mainly on vegetable matter (plants) by upending on the water surface (They put their head in the water to eat and their tail section is all that is seen above the water.) or grazing, and only rarely dive. When they take flight, they spring straight up from the water. The Diving ducks have to sort of run to take-off. Swans, Geese, and Duck Family. This entry was posted in Birds, Birdwatching, Christian and tagged Bible, Birdwatching Term, Creation, Dabbling, Dabbling Duck, Home School, Kids, Nature, Youth. Bookmark the permalink.